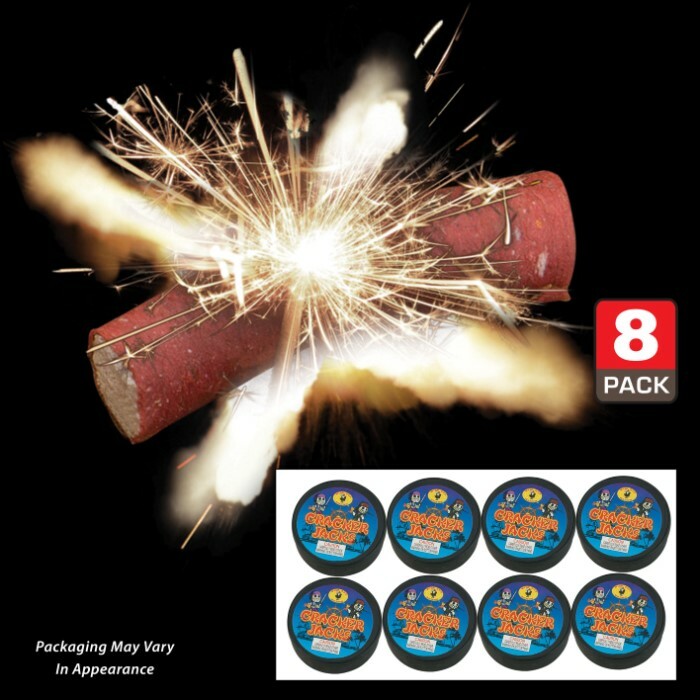 Cracker Jacks Super Poppers - Eight Pack, Super Loud, 20 In Each Can, Outdoor Use Only | BUDK.com - Knives & Swords At The Lowest Prices! The Cracker Jacks Super Poppers are great little gems that will really go off with a BANG! These extra loud poppers are great for parties and events because they will definitely get everyone's attention. There are 20 pieces in each can and there are eight cans in this pack. Not recommended for children under 8-years-old and they are strictly for outdoor use only. This little thing is LOUD just like the black cat fireworks you use for July 4th! In a away this little thing can protect you from a dog attack! I'm sure any dog try to attack you just pop couple of these in front of him he will run! Yes is that LOUD! Try to pop one around 1am, in the morning you will heard alot of barking dog! 8 box for $10 dollars here at the BUDK, is the best price you will find! But do remember this here is not for little kids!